Get on top, around and under hedges and plants without the hassle of a tangled cord. 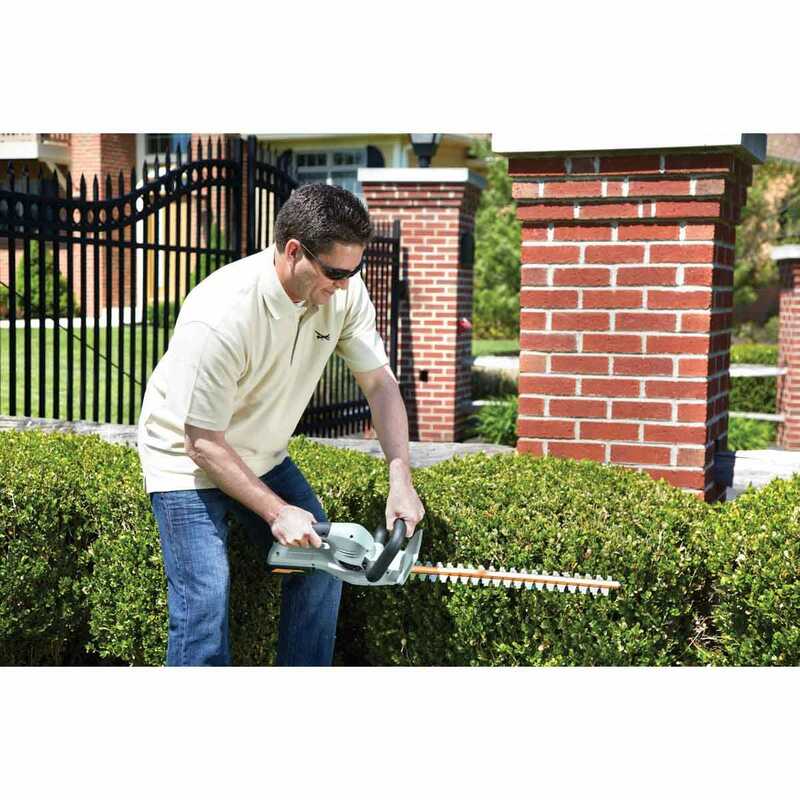 This Scotts Hedge Trimmer is completely portable and very powerful, with over 3,000 cutting strokes per minute coming off the 22"l hardened steel, dual-action blade. Cuts up to 5/8" thick branches. Includes protective blade cover, rubber-covered handle, rechargeable 24v Lithium battery pack and one-hour fast charger. Battery last approximately 15-25 minutes on a full charge. Measures about 34"l x 8"w x 9"h and weighs approximately 8 lb.